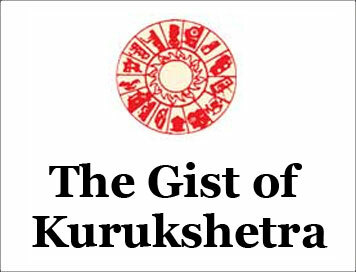 (The Gist of Kurukshetra) Skilling Youth Through Suryamitra [JANUARY-2019] | IAS EXAM PORTAL - India's Largest Community for UPSC Exam Aspirants. Employability skills are necessary for getting, keeping and being successful in a job. Skills and attitudes enable youth to make critical decisions, solve problems, develop new things and ultimately become strong ambassadors and asset for the organization. Skilling India is one of the major initiatives for creating job opportunities. It is a flagship program of the government to create 500 Million Skilled Manpower by 2020. Renewable energy is one of these targeted sectors, and national institute of solar energy (NISE), an autonomous institute under the ministry of new & renewable energy (MNRE) is assigned with the responsibility to execute the various skill development programs throughout the country in the field of renewable energy technology. NESE is conducting “Suryamitras” training program to provide skilled technicians for installation, commissioning, operation & maintenance in the field of solar technology. Government of India intends to achieve the target of 175 GW which includes 100 GW from solar energy by 2022. “Make In India” is an Initiative of Government to encourage multinational and domestic companies to manufacture their products in India. Suryamitra initiative is also a part of Make in India. Suryamitra program is a solar PV technician course which has been designed to develop skilled and employable workforce (suryamitras) catering to the needs of solar PV industries and EPC projects in installation, commissioning, and operation & maintenance of solar power plants and equipment, the Suryamitras should be able to perform the jobs related to design, component procurement, site survey, installation, commissioning and operation & maintenance of a solar PV system in EPC projects. The Suryamitras are capable to take positions as SPV technicians as well a other supervisory and managerial posts in solar PV component manufacturing organizations. The qualification required to participate in the program is ITI (Electrical & Wireman)/Diploma in Engineering (Electrical, Electronics & Mechanical). Higher qualified participants such as B.Tech etc. are not eligible. The course teaches the basics of electrical, SPV applications and solar power plant including standards, preventive maintenance, troubleshooting etc. to achieve and maintain the target of 100 GW solar power plants for 25 years, India requires about 6.5 lakh personnel, trained in solar energy sector (estimated by CII). This course is designed and oriented as per requirement of solar industry. Suryamitras are also capable of taking assignments as entrepreneurs for self employment. The main objective of this program is to train the 10+2 passed, ITI/diploma holders/ as field technicians to execute National solar mission (NSM) program across the country. Suryamitra program is focusing to provide employability and entrepreneurship to rural and urban youth & women. MNRE set a target of 50,000 Suryamitras of skilled manpower in solar energy sector. It is funded completely by union government and is a residential program that is implemented by NISE across India. NESE is identifying a network of institutions through state nodal agencies (SNAs) to conduct training programs, arranging funds to them, and also monitor them for proper execution. Separately, NISE is also organizing Suryamitra program in its own campus. This innovative mobile approach shall enhance the employment of trained youth in solar PV technology and also improve the businesses of solar entrepreneurs because of quality servicing, maintenance and repairing professionals are now available to customers at the click of a button on their mobiles. Under NABARD scheme of off grid solar PV system, few lakhs of off-grid solar PV system, few lakhs off-grid systems have been installed and systems do require regular maintenance. To keep the system in good condition skilled manpower is required, therefore, the proposed technical platform of Suryamitra Mobile App can be utilized for this purpose too. MNRE has an ambitious target of installing 100,000 solar PV pumps in several states. Suryamitra Mobile App would come handy with respect to operation and maintenance, repair and maintenance of solar pumps. Similarly, Millions of square meter of solar water heater systems are already installed in various states. In order to maintain the existing system and to and to install new systems properly, Suryamitra app would be very useful to serve customers at their doorsteps with quality installation, repair, and O&M services. The national institution of solar energy (NISE), an autonomous institution of ministry of new and renewable energy (MNRE), is the apex national R&D institution in the field of solar energy. NISE is organizing “Suryamitra” skill development program in collaboration with state nodal agencies, at various locations across the country. The program aims to develop the skills of youth, considering the opportunities for employment in the growing solar energy power project’s installation, operation & maintenance in India and abroad. The Suryamitra program is also designed to prepare the candidates to become new entrepreneurs in solar energy sector. The Suryamitra skill Development Program are sponsored by ministry of new & renewable energy, government of India. Suryamitra Program is of 3 months duration (600 hrs) & covers all aspects of solar PV system procurement, installation, commissioning, testing & maintenance. The course covers the syllabus as per NISE-MNRE Guidelines. To enter Suryamitra program, the candidate should be 10th pass and ITI in electrician /wireman/electronics mechanic/ fitter/ Sheet Metal, not below 18 years. During the selection of trainees, special emphasis to be given to the persons coming from Rural Background, Unemployed Youth, Women, SC/ST candidates. Presently, there shall be 30 seats for each batch of training program. At the end of the course, proper assessment shall be made and certificates shall be issued. The state nodal agencies of the ministry of new and renewable energy and the host institute advertise about the batches of the program including dates and the venue of the training in the print and/or electronic media. The training program is residential with a clear daily time table which would preferable include early morning physical exercise such as yoga/pt etc. the practical hours of the course are designed with for hands on exercise in the lab sites, experiments, classroom exercises, software simulations and to conduct the regular quizzes/class test and industrial visits. The host institute provides one set of uniform and an access to proper toolkits for working in the lab/site to all the session in proper uniforms only. The jacket, safety helmets and boots provide to all participants, and may be retained by the host institute after the training. No fee is charged from the trainees. During first two months of suryamitra program, visits to medium or large industry to know power transmission, distribution, loads, cabling etc. And one visit to 33 KV substations are planned. Course covers basic electricals, electricity, energy aspects, electron theory, voltage, current, resistance, measurement units and electrical lab work. Suryamitras are trained to operate tools like pliers, nippers, hammers, hacksaw, cutters, chisels, allen keys, hand drill, drill bit, try square. Gimlet, ratchet, pipe vice bench vice, pin vice, plumb bob, centre punch, wrench, plow lamp, pipe cutter, reamer, box spanner, crimping tool, measuring tape, pulley puller, neon tester, mallet, wire stripper. Types of wires and cables, insulating materials, standard wire gauge, specifications of wires and cables, Colour Coding, low and high voltage, precautions in using cables, wire ferrules, continuity/continuity tester, megger electrical lab & yard visit are also part of the training. Course also includes generation, transmission and distribution of electricity, introduction renewable and solar energy, introduction of photovoltaic technology and its applications, components of a PV system: battery, inverter and charge controllers, fundamentals of PV system sizing, troubleshooting of PV modules, troubleshooting of batteries, inverters and charge controllers, importance of tools and its applications preparations and pre-requirements of installation of solar power plant, cable tray and cable laying: scada and control system, commissioning and maintenance, soft and entrepreneur skills.